San Francisco, May 25, 2016 – The single greatest crisis of the 20th century was the loss of faith. Noise—and its acceptance as music—was the product of the resulting spiritual confusion and, in its turn, became the further cause of its spread. Likewise, the recovery of modern classical music – and the whole point of this book is that there has been a major recovery – stems from a spiritual recovery. As a result, beauty is back! This theme of Robert Reilly’s book, Surprised by Beauty: A Listener’s Guide to the Recovery of Modern Music , is made explicitly clear by the composers whom he covers – both in their own words (some in interviews with Reilly) and most especially in their music, which Reilly describes in layman’s language. Robert Reilly, along with contributing author Jens Laurson, spells out the nature of the crisis and its solution in sections that serve as bookends to the chapters on more than 70 individual composers. He does not contend that all of these composers underwent and recovered from the central crisis he describes, but they all lived and worked within its broader context, and soldiered on, writing beautiful music. For this, they suffered ridicule and neglect, and he believes their rehabilitation will change the reputation of modern music. It is the spirit of music that this book is most about, and in his efforts to discern it, Reilly has discovered many treasures. The purpose of this book is to share them, to entice you to listen—because beauty is contagious. English conductor John Eliot Gardiner writes that experiencing Bach’s masterpieces “is a way of fully realizing the scale and scope of what it is to be human”. The reader may be surprised by how many works of the 20th and 21st centuries of which this is also true. Surprised by Beauty includes hundreds of CD recommendations to help the reader find this music and this list will be regularly updated on the website for the book: www.SurprisedByBeauty.org. Ted Libbey, the NPR music critic who wrote the Foreword to this book, explains that the best music of the 20th century “developed our capacity for feeling, deepened our compassion, and furthered our quest for and understanding of what Aristotle called ‘the perfect end of life’”. “Reilly’s vision of music is profoundly spiritual, expressive of what is best and most enriching in human life, and having the possibility of leading us to encounter God Himself, says Composer and Pianist Stephen Hough. “It is rare that one can offer such unbounded enthusiasm for a book about modern music, yet I can confidently state that this book is a joy for both layman and music expert alike. Surprised by Beauty provides a valuable and illuminating perspective, all while providing the surprise promised in the title,” says Mark Nowakowski of the Foundation for the Sacred Arts. “This book is a work of love. Every page is filled with longing for beauty, yearning for the transcendent to be made perceptible. Reilly is a faithful guide and will lead many of his readers to musical beauty where they did not expect to find it,” says Christopher Flannery of the Claremont Review of Books. Robert Reilly has written about classical music for more than 35 years, including for Crisis magazine, where he was music critic for 16 years, High Fidelity, Musical America and others. He is the director of the Westminster Institute. He was Senior Advisor for Information Strategy (2002-2006) for the US Secretary of Defense, after which he taught at National Defense University. He was the director of the Voice of America (2001-2002) and served in the White House as a Special Assistant to the President (1983-1985). A graduate of Georgetown University and the Claremont Graduate University, he writes widely on “war of ideas” issues, foreign policy, and classical music. His previous book is The Closing of the Muslim Mind: How Intellectual Suicide Created the Modern Islamist Crisis. Jens F. Laurson writes an online classical music column for Forbes and contributes to Listen magazine. His writing has won the Deems Taylor Award granted by the American Society of Composers, Authors, and Publishers. “You are Who you eat,” says my Mother, the Church, as she has for two thousand years. What the tradition-minded have difficulty recognizing (and find dispiriting when they do) is that many Catholics like the “folk” stuff. Mystic Lamb (detail, angels), by Jan van Eyck (c. 1390-1441). Some HPR readers may be unaware that people have been arguing about the language of Church hymns since at least the 18th century. Dovring describes one side to a mid-18th-century Swedish Protestant hymnal controversy, as arguing that “the whole dispute (surrounding the new hymnal) was, essentially, not about doctrine, but simply about the manner of presentation,” whereas the other side insisted that “the public was not aware that they were being exposed to a new way of thinking because of the familiarity of the words and phrases (being) used”(pp. 391–392).1 To Catholics active on the music front of the post-conciliar “liturgy wars,”2 these 250-year-old Swedish battle cries probably sound pretty familiar. We are called, we are chosen. We are Christ for one another. (W)hile we are for him today. We are sign, we are wonder. We are sower, we are seed. We are harvest, we are hunger. We are question, we are creed. As a convert to the Faith from Orthodox Judaism—where hymns aren’t exactly central to worship—I had felt a weird disconnect in the hymns I’d been singing at Mass for the last three years. Some of them seemed really centered on God; others, not so much. 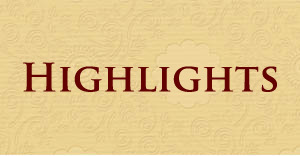 I had worked in publishing before returning to grad school, so I started paying attention to those “publisher’s notes” in the footer of every hymn, which most people just ignore. Very quickly, I began to be able to predict what I’d see there: specifically, when a hymn was written. I couldn’t predict the precise year, or even decade, but about 98 percent of the time, I could predict whether it was a pre- or post-conciliar hymn. So I determined to study this difference more methodically, and to do it as simply and neatly as possible: using pronouns. 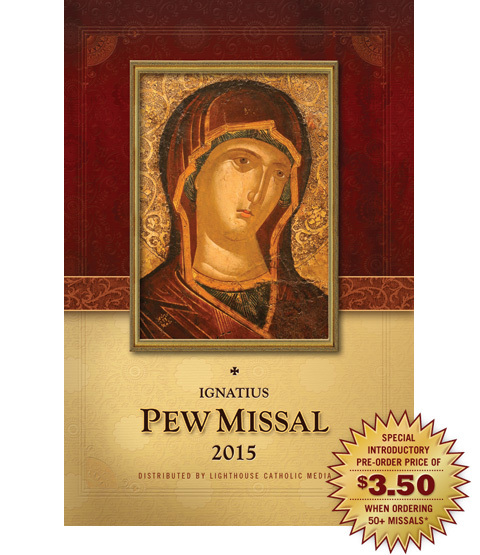 Together with a non-Catholic colleague, Max Renner, I selected two hymnals: one more “traditional” (the 2015 Ignatius Pew Missal), and one more “modern” (the 2015 Breaking Bread pew missal). Benedicta, the debut Gregorian chant CD from the Benedictine Monks of Norcia, takes the form of a concept album about the life of Mary. And it is a perfect soundtrack to prepare you for the practice of prayer. It got me thinking. What if a hit musical was first composed in Latin, and then only later translated into various national languages? Well, I can only wish. Having taught Latin at the university level for a decade and a half, I know how small the interest and appetite would be for such a thing. Besides, the movie musical is a quintessentially American art form, and so it is only appropriate for the songs from Frozen to appear first in English. Nowadays, Latin translations of any pop culture phenomenon — take Harrius Potter, for example — are merely the final seal of approval bestowed by unassailable mass appeal. But what if we could have access to a genuine cultural sensation that was in fact native to the Latin tongue? What kind of experience would that be? Last week, the Benedictine Monks of Norcia released Benedicta , their first recording of Gregorian chant. As I have been listening to it, I can’t help but take it as the answer to those very questions. Just as movie musicals are best experienced in the language of their birth (pace clever translators), so too are the liturgical meditations on Scripture best experienced in the Latin tongue that has sung those daily prayers for centuries. Eighteen men strong, the Benedictine Monks behind this album have set up a monastery at Norcia, the fifth-century birthplace of St. Benedict, ancient Nursia. Impressively, the average age of these men is 33. Many of them have come from America to Norcia, where they live according to the perennially wise monastic Rule of St. Benedict. Recently, they learned the art of brewing from some Trappist monks. And so their monastery has become famous for its delicious Birra Nursia, which is not yet available in North America, but which is nonetheless worth the trip to Umbria, Italy. The beer has a Latin motto: Ut Laetificet Cor, “To Make the Heart Glad,” which is a clever allusion to the approbation of wine in Psalm 104:15. Scriptural allusions — made in Latin, no less — are hardly the stuff of today’s pop culture. And yet what would be more appropriate for Catholic religious who brew beer? “A cold beer never bothered me, anyway”; that may be the right sentiment, but surely Ut Laetificet Cor is the motto that is right and just. In the same way, there is a tradition of prayer full of Latin allusions that stretches across centuries. And these monks are part of that still-living tradition. They spend hours every day chanting the Divine Office in a prayerful and meditative spirit. Just as they share the fruits of their labor with us in their beer-making, so too do they now give us, with this recording, a taste of their prayer life. I must admit I was skeptical when I was presented with yet another Gregorian chant CD to review. 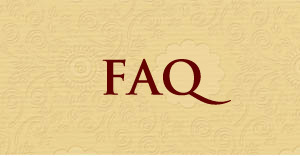 The work of the New Evangelization is identical to the work of evangelization in every age: to communicate to those who are unaware of the saving work of the Son of God those things that will bring them to accept the gift of faith, and come to new life through the sacraments entrusted to the Church. What is “new” is the environment and the means. The environment in which we operate most of the time is, at best, neutral to the work of the Church. At worst, it is actively hostile to the teachings of Christ in the Church. It is necessary, then, to use new methods and new communications media to help Jesus Christ and the Church become visible and attractive to modern humans. Now the Catholic Church has many advantages in this mission, as she always has. These advantages are summarized in the “three Cs” which are creed, cult, and code/community. I prefer to speak of the three transcendentals that are embodied in the Church as they are in no other institution. They are Truth, Goodness, and Beauty. The fullness of Truth is preached, and always has been, in the Catholic Church. The sacraments and the doctrines of the Church have helped and continue to help many to attain to saintly Goodness. And in the sacramental forms, prayers, architecture, and music, there is Beauty that is truly a making present on earth the Beauty of the Kingdom of God. In the 21st century, however, the Church operates at a distinct disadvantage within the culture, and some of that problem is of our own making. Relativism, as communicated through the media, universities, and political institutions, is rampant in society. Many believe that there are many truths, not just One Truth. When we preach the Truth, particularly in sexual and family morals, we are teaching things that annoy, rather than attract. The media have, since the dawn of the new millennium, made it a daily objective to find people, particularly clergy, doing evil in the Church. The sexual abuse scandal and occasional financial irregularity casts doubt on the moral integrity of the leaders of the Church. Thus the millions who find Goodness in the Church, and who daily do good for others, including their persecutors, are ignored. Beauty, however, has a way of disarming the critic and providing an instant experience of transcendence. As Dr. William Mahrt says, “beauty persuades by itself.”1That is, as traditional philosophy teaches us, in the very perception of the Beautiful, “the intellect is delighted,” and that delight is intrinsic and immediate. By contrast, the apprehension of Truth must come from reasoning, and the apprehension of Goodness by a positive act of the will, informed by the actions of the intellect. These processes can be corrupted because of the weakness of the intellect and will, engendered by Original Sin. Our apprehension of the Beautiful is immediate, and so, is harder (but not impossible) to corrupt. Perhaps the most pernicious single delusion to have afflicted musical thought over the last two centuries is what might be called, for want of a comelier description, The Myth of Artistic Inevitability. The central teaching of this myth can be summarized in the slogan, “You can't keep a good man down.” More specifically, the myth maintains that musical genius, merelyby virtue of being musical genius, will always find a mass public; that no agency for evil can ever thwart this process; and that if a particular musician of stature fails to find a mass public, it is fundamentally his own fault. Belief in the myth presupposes what operated to a limited extent in the centuries before 1914 but manifestly could not be relied on after that date: a European civilization sufficiently filled with noblesse oblige to regard musical genius as worth rewarding, in and of itself. Yet even before 1914 such a civilization was provisional, dependent largely on the caprice of individual patrons' effort. Take Wagner, whose monumental self-belief possibly brought him closer than any other great musician has ever come to giving the “inevitable” dogma a fighting chance.But Wagner owed—and he himself knew full well that he owed—hisenduring world fame to, above all, a House of Wittelsbach accident. Without King Ludwig II's patronage, several of Wagner’s masterpieces would have been unperformed and in some instances unwritten. A Wagner without Ludwig II would have occupied something like the same niche in general culture now assigned to, say, Charles-Valentin Alkan: in short, renowned (rightly or wrongly) more for freakishness than for actual lasting merit. Moreover, the Myth of Artistic Inevitability cannot even begin to explain how so many musical giants were forgotten, for generations on end, once they had died. Monteverdi and Heinrich Schütz in the seventeenth century, Telemann in the eighteenth, Johann Nepomuk Hummel in the nineteenth: all these men—who had substantial, and deserved, reputations in their lifetimes—fell so completely out of favor within a few years of their respective deaths, that it was almost as if they had never breathed. Still, the main reason the myth is absurd is that it utterly fails to take totalitarian cultures, or even ordinary modern Western leveling,into account. Suppose that there had emerged in the twentieth entury a composer who combined the gifts of Bach, Handel, Haydn, Mozart, and Beethoven in his own person. Those gifts, far from guaranteeing him popular acclaim and a berth in Grove’s, would not have done him a blind bit of good if he had been stuck amid the Holodomor, or amid Khmer Rouge Cambodia, or amid Maoist China’s Cultural Revolution, or (if he had possessed Jewish ancestors) amid Nazi-occupied Poland. Indeed, his exceptional abilities would have increased the likelihood of his being hunted down like a rat. All this serves as a prelude to noting several facts: first, that there flourishes in America a composer named Frank La Rocca; second, that his creative talent for religious music is remarkable; third, that one can have been a professional musician—indeed a professional church musician—for decades without having encountered his name, let alone his output; and fourth, that those in that ignoramus category had included myself, until his CD In This Place, was recently brought to my attention—and by a non-musician! According to the Myth of Artistic Inevitability, such neglect could never have happened. I would, for certain, have discovered La Rocca’s work in the quotidian course of events; every decent-sized musical reference book would have alerted me to that work; it would be needless to accord him wider fame by writing the present article; and pigs would fly. A good case can be mounted for listening to all unfamiliar music, as it were, “blindfolded”. In other words, for judging it entirely upon what the ear apprehends, with no biographical or other data to affect one’s pleasure or distaste. Accordingly, before seeking any information about La Rocca’s career, I began playing the CD, and I concentrated exclusively on what I heard. Think the music at your parish could use some improvement? Want to be able to sing along to the hymns at Mass? worship aid intended for Roman Catholic parishes. * pre-order offer for those who subscribe in the first year. Think your pastor might need some convincing? with the code PEWMISSAL* at checkout! *This offer is valid online only from August 27, 2014 until September 03, 2014 midnight EST. Copyright © 2014 Ignatius Press, All rights reserved. On the morning of August 25, 1954, New York Times readers found much of Page One devoted to the news that Brazil’s president Getúlio Vargas – who had dominated his nation’s politics for a quarter of a century even when in short-term eclipse – had killed himself. The man so cryptic that historian Richard Bourne called him “the Sphinx of the Pampas” had sprung one last surprise on his foes. Nobody accused Vargas of undue charm-offensives. In fact, through his diminutive physique (a mere five feet two inches tall), through his bespectacled face, and through his temperament, he made Gerald Ford look like Justin Bieber. Having achieved absolute office in a 1930 coup, Vargas first used his unbridled strength to smash Brazil’s hitherto influential Communist Party; then, when national fascist elements thought they had a faithful patron in him, he shunted them to the sidelines. Having bestowed upon the Third Reich’s representatives enough honeyed words to suggest that he would join the Axis, he proceeded to hurl the considerable weight of Brazil’s army on the side of the Allies. Brazilian troops saw particularly severe fighting against Mussolini’s Salò Republic. Forced to resign six months after Nazi rule collapsed, Vargas vegetated within the federal senate before returning to the presidential palace in a 1951 election that even his enemies admitted to be fair. But that same army which he had sent to oppose the Führer and the Duce increasingly gave up on him, as inflation approached Weimar Republic levels. Rather than aggravating what had already become a low-level civil war in the streets of Rio (the capital would not move to Brasilia for another six years), Vargas entered one of the palace bedrooms and there committed suicide. The pyjamas which he wore while doing the deed, and the revolver with which he did it, have been on museum display ever since. Vargas would not require more than a footnote to cultural history if he had not done the arts a turn so good as to compel our gratitude long after his economic and administrative policies – the policies in which he took the greatest pride – had ceased to interest anyone save specialists. That good turn consisted of supporting Heitor Villa-Lobos, by every possible and many an impossible measure the most musically talented man that South America has ever produced. In 1930 Villa-Lobos, having turned 43, could not forever continue brandishing the flag of enfant-terribilisme. He had eagerly waved that flag for as long as he could, and perhaps longer than was prudent. For example, he rewrote his own résumé with a frantic imaginativeness that might have made Lawrence of Arabia blanch. Like Lawrence, he showed such flair at having blended spin-doctoring with equivocations, half-truths, and periodic outright lies that the resultant heady postmodernist brew frustrated genuine scholarship for decades ahead. He seems to need rediscovering with each new generation. And by the way, let’s lose the fatuous “Papa Haydn” tag. 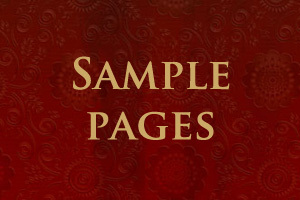 [Haydn] … holds limited popular appeal. He is not a sufferer, a lover, a confessor, a combatant—all the personae we expect our heroic musical executants to embody. His knowing wit and repartee privately gratify the attuned interpreter. Interpreters otherwise attuned—to a mass public, for instance—smooth away his subversive detail, transforming him into a cut-rate Mozart. In one respect Horowitz's conclusion is inept because parochial. Outside the New York Times mindset, no automatic contradiction exists between “a mass public” and Haydn's output. 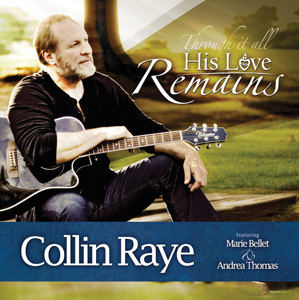 Collin Raye's Biography, now available from Ignatius Press! 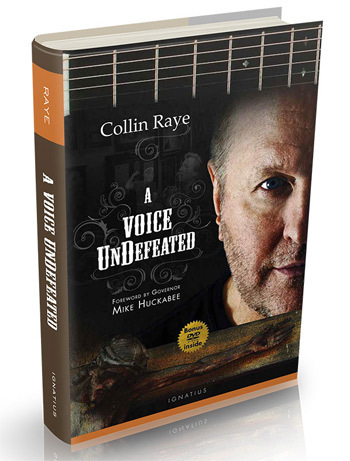 Renowned country singer Collin Raye’s new autobiography, A Voice Undefeated, takes readers into the intimate, personal struggles of an international star finding faith amidst crises and critical acclaim. The book includes a FREE bonus DVD, featuring an exclusive interview and live performances of some of Collin Raye’s most beloved songs. Also available as an eBook, which includes a BONUS epilogue featuring heartwarming and inspirational stories of Collin Raye and his encounters with other celebrities around the world over the years of his musical career. See more reviews on the Ignatius Press website. For a limited time* Ignatius Press is offering a special 20% off discount on A Voice Undefeated and Raye’s hit album His Love Remains. Preview the album now. Enter coupon code VUD2014 at checkout to get the special offer. 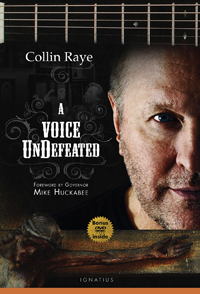 Country Music Star Collin Raye Releases Powerful Memoir: "A Voice Undefeated"
SAN FRANCISCO, April 1, 2014 – Collin Raye is one of America’s best-loved country music singers, with 24 Top Ten Singles, including 16 No. 1 hits and a total of five straight platinum and two gold albums, a record for the Epic label. But perhaps most noteworthy is Raye’s remarkable personal story outside of country music, which includes his conversion to Catholicism; overcoming a devastating tragedy in his family; and his profound advocacy and love for the poor and disabled. Raye chronicles his unique and unforgettable religious journey and life as a country music star in his new memoir, A VOICE UNDEFEATED . In A VOICE UNDEFEATED, Raye gives readers a down-to-earth account of his personal and professional life. From his childhood in Arkansas and Texas through his days with the Wray Brothers Band in Oregon and Reno to his rise to international stardom, Raye discusses his journey to the top of the music world and provides an intimate diary of a Catholic who has relied upon his faith to overcome great professional and personal losses — most recently, his beloved 9-year-old granddaughter, Haley, who died in 2010 from an undiagnosed neurological disease. Since Haley’s death, Raye has become an outspoken advocate for the sick and disabled, and has established the Haley Bell Blesséd Chair Foundation to provide wheelchairs to families with special needs children. Raye also provides a revealing look inside Nashville: His climb to the top of the charts and production of hit after hit; his fallout with the giants of the industry; and his strong criticism of today’s raunchy lyrics that tear down our culture and war against the great country traditions. Make Your Lent Beautiful with "Lent at Ephesus"
A practical guide to incorporating the latest hit album from the Benedictines of Mary, Queen of Apostles into your Lenten meditations. Lift high the cross? Yes, and right to the top of the classical music charts. With their third hit album in as many years, the Benedictines of Mary, Queen of Apostles, have done it again. They are at the top of the Billboard Classical chart. And this time, they are proclaiming the love of Christ with a terrific new CD that is packed full of Lenten repertoire. The album is called Lent at Ephesus because, since 2006, these cloistered nuns have been in the Diocese of Kansas City-St. Joseph in Missouri at the Priory of Our Lady of Ephesus. The nuns, in their daily liturgical practice, are accustomed to chanting the very best of the Church’s musical treasures. They follow a monastic horarium as laid out by St. Benedict in his Rule. They chant the Divine Office together eight times a day in Latin according to the 1962Breviarium Monasticum. Their first album, Advent at Ephesus (2012), spent six consecutive weeks at number one on Billboard’s Classical Traditional Music chart. Their second album, Angels and Saints at Ephesus (2013), spent 13 consecutive weeks at number one on the same chart. What is so wonderful about each one of their CDs is that these nuns sing with such remarkable sincerity. They thus reveal to the listener why this traditional music exists: namely, in order to embody the lovely movements of a prayerful heart. As if to illustrate precisely the opposite—how to avoid “narcissistic and authoritarian elitism”—the Benedictines of Mary, Queen of Apostles, have made this beautiful music easily accessible and widely available. Read the entire article on the CWR site. Audrey Assad (www.audreyassad.com) is a thirty-year-old singer, pianist, and songwriter who has steadily established herself in recent years as an exceptional musical artist with a gift for deeply spiritual lyrics and memorable melodies. Assad was raised in a Protestant home in New Jersey, then moved with her family to Florida in her late teens where she began to study and learn more about Catholicism. She entered the Church in 2007. Her first album, The House You’re Building (2010), was recognized on Amazon.com as Christian Album of the Year and by iTunes as Christian Breakthrough Album of the Year. Her second album, Heart (2012), was critically acclaimed and reached #3 on the Billboard Christian Albums chart. The lyrics in those albums revealed the influence of St. Augustine, the Jesuit poet and priest Gerald Manley Hopkins, and the poet Francis Thompson. Her new, self-produced album, Fortunate Fall, was released this past August. Assad recently answered some questions from Carl E. Olson, editor of Catholic World Report, about her music, her decision to become Catholic, the influence of Augustine on her writing, and why Catholic artists need to pursue beauty and truth, no matter the cost. CWR: Your first two studio albums, The House You're Building and Heart contained many songs oriented toward worship, but your new album, Fortunate Fall, is focused entirely on music to be used in personal devotion and public worship. What inspired you to pursue making such an album? How do you envision your music being used in liturgy and in private prayer? Assad: After making my first two albums (and after a few years in the music business) I found myself at a personal crossroads: I asked myself what, as a Catholic, I should be doing in the world—and how I should be making music. In that period of discernment I came to the conclusion that there is no room in my artist’s heart for making “Christian pop” — less still for making what has come to be known as “Contemporary Christian music.” In these phrases, the word “Christian” is a modifier, not a noun—essentially, it’s become a marketing term. I don’t believe that’s how the word should be used. So going forward, I don’t make “Christian music”, even when it’s intended for the Church. I make Church music, and that’s what Fortunate Fall is. CWR: The influence of St. Augustine is front and center, from the title of the album to the lyrics of many of the songs. When did you first discover Augustine and how has he affected you as a person and an artist? Assad: I discovered St. Augustine as I was on my way into the Catholic Church—I was confirmed in 2007. In the two years of study I did before coming into the Church, St. Augustine was a steady and pulsing voice in my reading. Though he and C. S. Lewis are different, I think they share this similarity, and thus share a large amount of influence in my work: they both think like philosophers and write like poets. I can’t compare myself to either of them, but they inspire me in that way, and in that way I hope to be as like them as possible. CWR: Three themes stand out upon repeated listens: the Incarnation, redemption, and abandonment to God's will. What are some of the key connections you see among the three? What other themes were central to the writing and making of the album? Joseph P. Swain, author of Sacred Treasure: Understanding Catholic Liturgical Music, with straight talk about sacred music. Dr. Joseph P. Swain is associate professor of music at Colgate University and author of several books about music, including A Historical Dictionary of Sacred Music (2006), Harmonic Rhythm: Analysis and Interpretation (Oxford, 2002), and Musical Languages (Norton, 1997). He has also written numerous articles for journals including Music Perception, Journal of Musicology, Music Analysis, Criticus Musicus, Opera Quarterly, and Catholic World Report. His most recent book is Sacred Treasure: Understanding Catholic Liturgical Music (Liturgical Press, 2012), which is described as “an exercise in pragmatic music criticism. … Sacred Treasure shows how the hard facts of music must be taken into account in any holistic conception and any lasting form of liturgical music.” Dr. Swain was recently interviewed by Carl E. Olson, editor of Catholic World Report, about his book and the state of liturgical music, what Vatican II actually said about sacred music, and what can be done to improve the music heard in parishes throughout the United States and beyond. CWR: Taking up Dickens' famous opening lines in A Tale of Two Cities, you open your book by stating that when it comes to Roman Catholic liturgical music, it is both the worst of times and the best of times. What are some examples of each? What is unique about this particular era as far as liturgical music is concerned? Dr. Swain: At no time in history has the Church had to hand, in print music and recordings, such a wealth of liturgical music of amazing variety and of the highest quality. At no time have such numbers of highly trained church musicians been available to sing and play that music. At no time has there been such a pitch of interest in liturgy and its music on the part of everyday, churchgoing Catholics. These are the best of times. 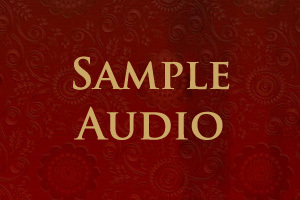 At the same time, only a tiny fraction of the liturgical music thought by Catholics and non-Catholics alike to be among the most beautiful ever conceived is ever heard by everyday Catholics at mass. The fine professionals who want to contribute their services are often not allowed to perform it; they put aside their long training and look for other kinds of work. And the interest in liturgical music has apparently led only to strife within and between parishes, rather than healthy traditions of liturgical music, and there appears to be no end in sight. Such paradoxes are what make our times unique in the history of liturgical music. CWR: Sacred Treasure covers a tremendous amount of material—musical, theological, historical, and cultural—and you describe it, in the Preface, as "an exercise in pragmatic music criticism." What was your main goal in writing the book? How might, respectively, a liturgist, a musician, and an "average" lay person benefit from reading it?